Does Energen Corporation (EGN) Represent a Good Stock for Your Portfolio? Before we spend days researching a stock idea we’d like to take a look at how hedge funds and billionaire investors recently traded that stock. S&P 500 Index returned about 7.6% during the last 12 months ending November 21, 2016. Most investors don’t notice that less than 49% of the stocks in the index outperformed the index. This means you (or a monkey throwing a dart) have less than an even chance of beating the market by randomly picking a stock. On the other hand, the top 30 mid-cap stocks among the best performing hedge funds had an average return of 18% during the same period. Hedge funds had bad stock picks like everyone else. We are sure you have read about their worst picks, like Valeant, in the media over the past year. So, taking cues from hedge funds isn’t a foolproof strategy, but it seems to work on average. In this article, we will take a look at what hedge funds think about Energen Corporation (NYSE:EGN). Overall, Energen Corporation (NYSE:EGN) shares haven’t seen a lot of action during the third quarter. The hedge fund sentiment was unchanged and the stock was included in the equity portfolios of 32 funds tracked by Insider Monkey at the end of September. However, the level and the change in hedge fund popularity aren’t the only variables you need to analyze to decipher hedge funds’ perspectives. A stock may witness a boost in popularity but it may still be less popular than similarly priced stocks. That’s why at the end of this article we will examine companies such as ABIOMED, Inc. (NASDAQ:ABMD), Williams-Sonoma, Inc. (NYSE:WSM), and Tahoe Resources Inc (NYSE:TAHO) to gather more data points. With all of this in mind, let’s take a glance at the recent action regarding Energen Corporation (NYSE:EGN). 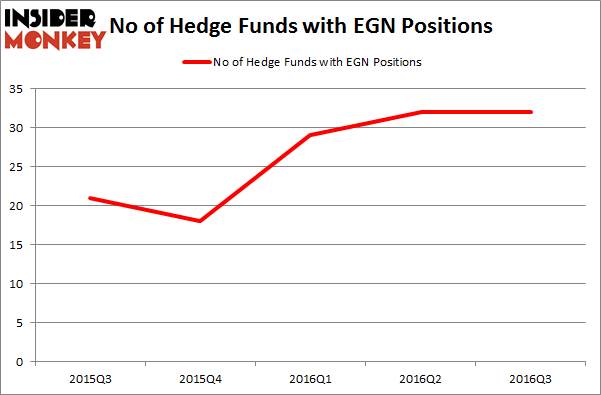 As mentioned earlier, at the end of the third quarter, a total of 32 of the hedge funds tracked by Insider Monkey were long Energen Corporation, unchanged over the quarter. With the smart money’s capital changing hands, there exists a few notable hedge fund managers who were boosting their holdings meaningfully (or already accumulated large positions). 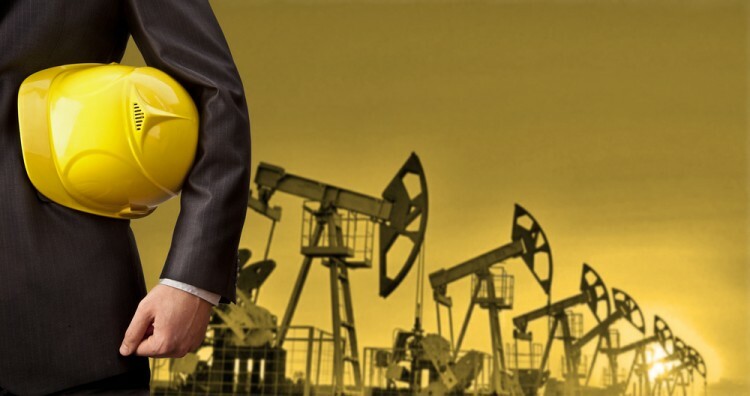 Of the funds tracked by Insider Monkey, Israel Englander’s Millennium Management holds the largest position in Energen Corporation (NYSE:EGN). Millennium Management has a $201 million position in the stock, comprising 0.3% of its 13F portfolio. On Millennium Management’s heels is Robert Pitts’ Steadfast Capital Management, which holds a $142.5 million position; the fund has 2.5% of its 13F portfolio invested in the stock. Remaining members of the smart money with similar optimism contain David E. Shaw’s D E Shaw, Till Bechtolsheimer’s Arosa Capital Management and Phill Gross and Robert Atchinson’s Adage Capital Management.